The main progress we made today is that we went to Mothercare and chose a pram (‘travel system’) to transport him about the place. We wanted something to suit our lifestyle, which means it needs to be suitable to take on the bus, car and taxi. On the bus round our way they only have a certain number of pushchair spaces and sometimes you might be required to fold the pushchair up. So we needed something that can easily be collapsed whilst holding a baby. 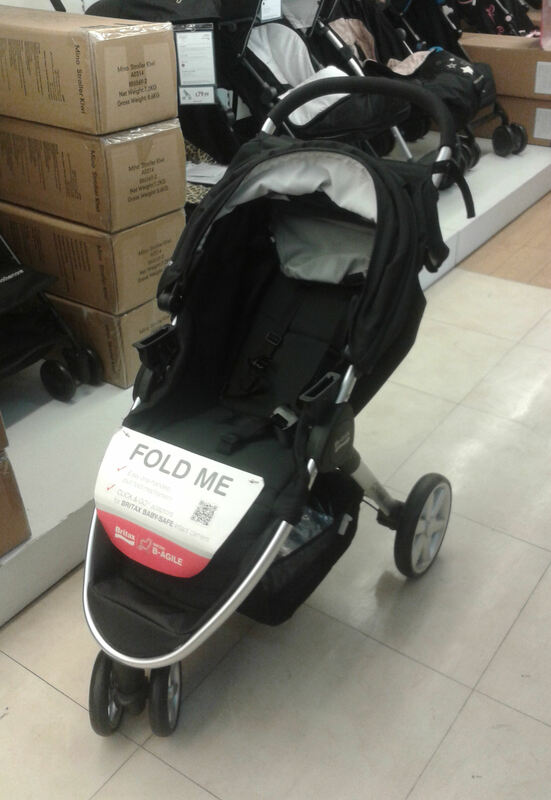 This one here (Britax B Agile) is probably the solution. It has a one handed kick down mechanism, plus it has a car seat that you can either attach or not and this also has a one handed release. We figured when he was little we could keep the car seat attached, so if we needed to fold the pram up on the bus we could put him down safely in his car seat and fold things up quickly and easily. This was by no means the most expensive solution, in fact it is cheaper than the Bugaboo one we thought we were going in to buy. Not got it yet, my Mum has kindly offered to buy us this so we’ll sort that out in due course. Next, we’ll need to be getting him something to sleep in. We also need to review our wills and insurance.